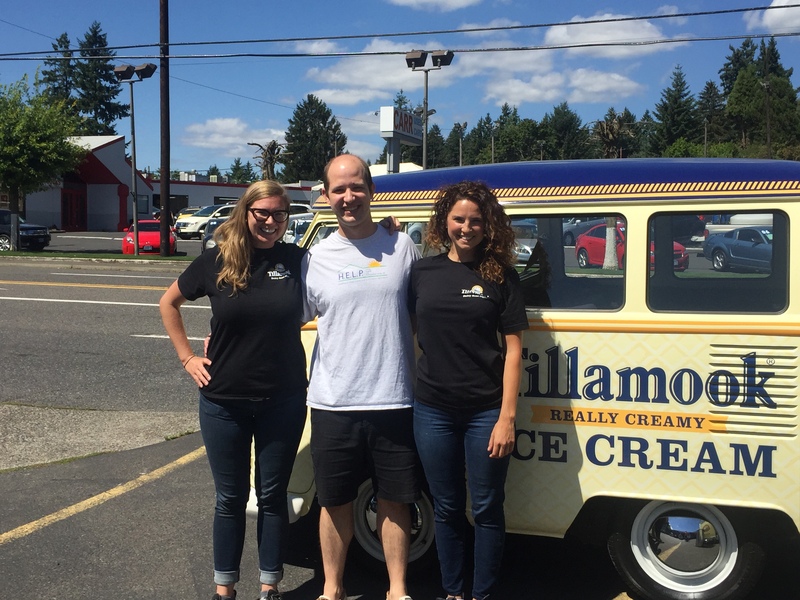 The Tillamook Ice Cream Truck visited the HELP Team today and set up their ice cream cart in our parking lot for a couple hours. All customers and passersby, plus the HELP office staff, were treated to free ice cream treats.. 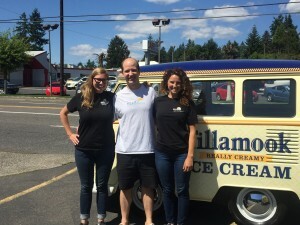 The two wonderful Tillamook ice cream wranglers, Christy and Shelby, told us a few tales of life on the Ice Cream Trail and made all of us ice cream fanatics happy today! THREE CHEERS FOR TILLAMOOK ICE CREAM!